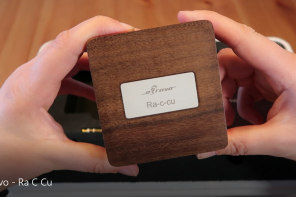 The buzz on the Ibasso PB1 Toucan amplifier has been growing quite steadily on the local headphone community. Ibasso has been making good amps for a while now, but my friend told me that the PB1 is quite on another level than the previous Ibasso amplifiers. Now, this guy happens to own one of the largest headphone and portable amps inventory I have known that includes the RSA-SR71A, the Iqube, the ALO Rx, and when someone like him said that the PB1 is a good amp, I’ve been wanting to stop by his place to test it out. 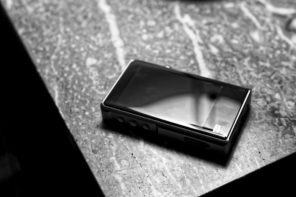 Last week I was also in a phone with another friend that I trust very much, and he also said good things about the PB1. I instantly decided then that I’m going to purchase this amp just based on my friends’ recommendation, and without ever hearing it. I got the PB1 late last week, and my initial impression has been very positive. The size is slightly bigger than the Protector, and the build quality finally can be compared on the same level as RSA amplifiers. Ibasso uses a Lithium Ion battery for the PB1, and the charger that comes with it looks identical to the RSA Protector charger! The PB1 is indeed a very good amp, and testing it with anything from the V-Jays, the RE-0, or the JH16, I can confirm that the buzz is true. Even without having tried the balanced connection from the PB1, Ibasso has finally come up with an amp that can go head to head with the premium RSA or HeadAmp models. The sound is very smooth, unlike previous Ibassos I’ve tried. The PB1 coloration is the first of its kind that I’ve heard on amps. Normally amps with midrange colorations adds the boost on the lower mid to bass regions. But the PB1 adds a small boost on the upper and middle midrange. It’s very pleasing, and the boost is very mild that I don’t find it to be an annoyance either. Other than that, the sound is quite smooth throughout the overall frequency. There is a slight tint of warm that’s very pleasing. The PB1 is not as dark as the RSA Protector, and not as bright as the Pico Slim, and so it falls sort of in the middle of the two. For my classical recordings, the Pico Slim is a better match as it boosts the treble details a little, where the PB1 and the Protector doesn’t. Apparently it was a trade off for audio quality. 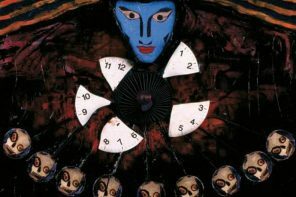 See the second paragraph of http://j.mp/cKTWKG. hi mike, just want to know how to use the balance mode. 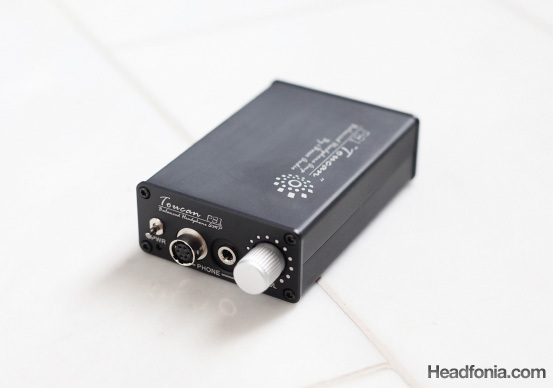 is it just add an extra plug (hirose connector) or the headphone/iem it self have to be modded for balance? well im still searching a good amp for my dba-02 and thought about this amp. I think it depends on the particular IEM. Most IEMs I know only comes with three wires (joined ground wire), hence you can't use that stock wire for running balanced. I think the DBA-02 also comes with three wires, I'm not sure. If that's the case then you're going to need to recable the IEM, in addition to using the hirose plug at the end. Great timing. I am now trying to decide if it is worthwhile letting of my UM3X and get the HD25-1 mkII + PB1. I will really appreciate if you can share your thoughts on the HD25-1 with PB1 and if possible, with the UM3X as well. I suppose I will need a quad-braid cable to re-terminate to balanced if I am sticking with IEM? Hi Randius, I really haven't tried the PB1 with either the UM3X or the HD25-1 as both of them are no longer in my possession. Sorry, don't think I can help you out on this one. Randius, terminating the cable is not going to be easy if you have no previous experience. I suggest you get an IEM with removable cables and get a cable builder to build a cable for you. I tried the PB1 and find the noise it makes when changing volume UNACCEPTABLE. It was returned right away. It appears that all of them make that noise. Also, why wouldn't iBasso make the D4/D10/PB1 in a slim form factor that would actually make them portable? I do not find their amps portable. I had a good experience with the D4 but because it was not portable and didn't even include rechargeable battery, was sold as well. Hi, B. Too bad you find the potentiometer noise unacceptable, because otherwise the PB1 is a really awesome amp. I personally don't have a problem with it, perhaps because my Zana Deux also does the same thing and it costs $2,200. 🙂 As for form factor, yes, slimmer would've been better. Still the PB1 is a big improvement in size over the D4/D10, and it's only a slight bigger than the RSA Protector. May I ask for suggestion from where can I get the custom balanced cable terminated to Hirose connector? I own the UM3X removable cable version thus only need to worry about the cable. Randius, try contacting Whiplash Audio and ask him about it. You can find the Whiplash Audio website on the right side on the Sponsors panel. I've sent an email to Craig, and so if I get a reply from him, I'll let you know. Hi Mike. I have an iPod Nano 4G and a JH13. The current sound I'm getting is not really neutral, in fact, I find it a bit bright. Between the Toucan and the TTVJ Slim, which would you recommend? Jaron, the RSA Protector is a bit darker than both, so perhaps try that one out first. The Toucan and the TTVJ slim would be roughly about the same on the dark/bright scale. The Toucan more emphasis on upper mid, TTVJ on the middle and lower mid. True. An upper mid boost would be closer to a bright sound than a mid or lower midrange. It's a slight boost on the PB1, but it all goes back to the recordings that you're listening. If it's bright, then it's bright. 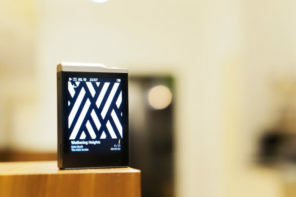 I can't wait to get the boomslang, but my portable players are the Ipod Classic and Ipod Nano. I'll probably test the Boomslang using the Onkyo dock, since I wouldn't be carrying that much portable gear anyway. I think the optical is a bit better than the usb, but maybe my optical transport is just superior to my netbook. I should borrow someone's laptop with optical to test. I would use my gaming pc but those fans are so loud it is really distracting. I'd take it on vacation to listen in my hotel room though, if that counts as portable. Yea, I think it's more like the Triad Audio LISA III, where "portable" is not something that you'd put in a jeans pocket, but rather be able to move them around without having to be tied down to an AC power outlet. Designing good USB receivers are not easy, and so I wouldn't be surprised if the Boomslang's USB is not as good as the optical. But it may be the netbook as well. Using the HRT Music Streamer II+ USB Dac from my Acer netbook have always resulted in some random short-pauses. Perhaps it's something to do with the weak Atom processor inside. I don't accept the volume pod noise, no. 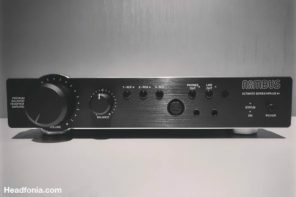 If I am paying for an amp, it is to improve sound not add noise. It is just a bad design and there is no excuse for it. There are plenty of other amps that do not introduce noise, ironically, some of iBasso's own. Anyhow, the idea of a $500 plus "portable rig" with two boxes in addition to the source player and a pount of extra cables is just plain silly. That's too bad, because the amp itself seems pretty damn good for the price to me. 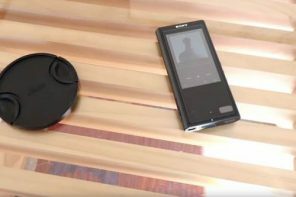 Do you actively adjust the volume constantly while listening to a song or what? If it really is a trade off on audio quality to remove the noise, as they seem to claim that it is, I'd take the noise any day. Whatever floats your boat I guess. Personally what I find most annoying is the way it picks up 2G data signals. I have had that problem with the protector too though. I do agree that the pair is ridiculous as a "portable rig", more like easily transportable. That said I take it to work fairly often, it certainly is much nicer than my sound card. I like it as 2 separate boxes though, so that I can just use the amp when it is more convenient, which is often the case. The Boomslang uses a PCM2906B to convert usb to spdif… I think that chip will only do up to 16/48 while the spdif inputs accept up to 24/192 (but not 176.4 🙁 .) Not that I really have a whole lot of source material over 16/44.1 anyhow. I made a hirose -> dual female xlrs cable to mess around with other balanced sources, or possibly to let other people try the balanced connection, but it is a wee bit ridiculous with the xlrs hanging off the front of the PB1. Mostly just for novelty but I suppose it could be useful for comparing the Boomslang to other things. I can see why B doesn’t appreciate the the noisy potentiometer and the two boxes solution. If RSA can pull off a good potentiometer without a problem with the Protector, then Ibasso should’ve done the same thing as well. Though at the current pricing to performance ratio, I’d say that a lot more people will ignore the noisy potentiometer for an amp that sells for half the price of the Protector. Personally for me, I think the PB1 is one heck of a nice amp for the price, better than the previous Ibassos, and even if it doesn’t come with the balanced capabilities, I’d still be happy to get it. The upper mid coloration works well with my JH Customs, filling in those areas where I think the customs can be just a tad fuller. The Protector, on the other hand, feels to dark for my music when paired with the JH Customs. The two boxes solution is not easy to handle though. It’s actually a three box solution, seeing how you still need to add a DAP on top of the Boomslang + Toucan. 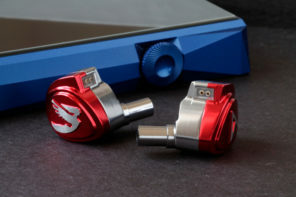 Well, if you don’t want to go that route, you can go with a Hifiman HM-602 or HM-801 straight to your IEMs. The HM-801 is still one of the best sounding source I’ve heard, even compared to desktop units. And I don’t think that going balanced is really that necessary anyway. I agree that as a “portable” system, it is absolutely ridiculous. I would only consider using the amp portion in any sort of truly portable manner. Do you think the noise has anything to do with them using a small 4 gang pot? Why would it be present in every PB1? The Protector uses a 2 gang pot on the signal while it is still single ended. The SR71B uses 2 2 gang pots (at least so far), one for each channel. Don’t quote me on that, I could be wrong. I am certain the PB1 has a design defect or defective part they are using. The noise should not be there – period. 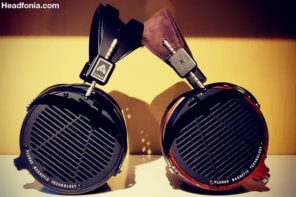 Balanced amps and headphones? What a joke. Talk about overdoing it. Absolutely, not worth the investment and the inconvenience! A solid quality source, lossless, and a good pair of efficient headphones and just enjoy the music and save your money! Believe it or not, I've tried several amps and an amp is simply not worth it to carry around. Instead of looking for an amp, get headphones (Monster Turbine Pro Copper or Miles Davis Tribute and Etymotic MC3/5 would be my recommendations) that are driven easily by your DAP and you are set. I use Monster Turbine Pro Copper with Control Talk and my iPhone. I have lossless music loaded but I also listen to streaming music with lower bitrate (can't wait for lossless streaming to be made available, if ever). Since about 50% of my listening is of somewhat compressed music although at about 320kbps, an amp doesn't make that much difference (if any) anyway. 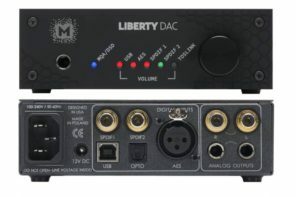 For desktop listening, a nice reasonable DAC may be beneficial if using a PC. I don't think there is that much benefit for a MAC but it's still okay. Then if you use powered speakers, no need for an amp. 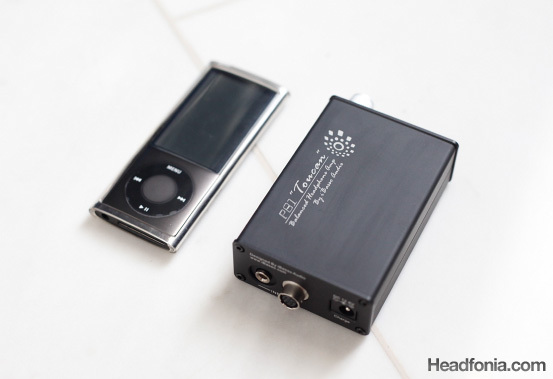 If not, then a headpone amp/DAC is okay – really liked the iBasso D4. uDac (version one) was bad in spite of lots of hype. Have not heard uDac2 but its supposed to be much improved. It's a great price point. 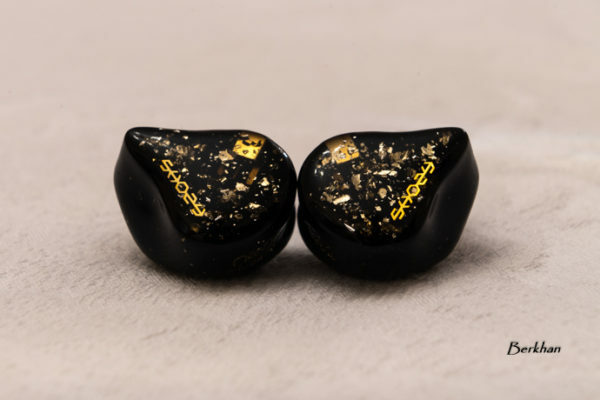 Tried Centrance DACPort – not bad but not enough power/punch even for IEMs and way expensive. Who listens to 24/96 music anyway… I don't. Too pricey, too limited selection. 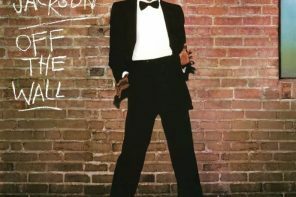 I listen to CD ripped to iTunes/iPod/iPhone and streaming music. The best music is the one you have access to! Hi, B. I can understand if the PB1's noisy volume pot annoy you, but analog pots often have issues like that. It's just the reality of using analog pots. 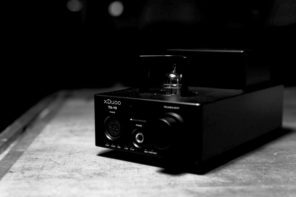 More expensive analog pots can be better in this regard, but then the "better" analog pots are often only available in bigger sizes that's meant for desktop amps. This is why all the newer portable amps come with digital volume controls or stepped attenuator units (i.e ALO Rx, RSA Shadow, TTVJ Slim, Pico Slim), but it seems that the current available design for digital volume controls are not applicable for balanced amps. Hence the RSA Protector and the Ibasso PB1 uses an analog potentiometer. 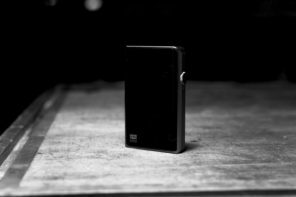 You may feel that a portable amp is not worth the hassle or the price, but that definitely is not the general consensus. I understand that some people use external amps just because people tell them it's better, but the reality is a portable amp gives you a grunt in the music that you won't get when playing direct from a DAP. This is quite independent from the quality of the source and files (though good files and source is always welcome), and a lot of IEMs, even efficient BA ones (anything from an Etymotics ER4 to the JH16) improve from better impact and PRaT factor, when driven from an external portable amplifier. Now, balanced amplifications aren't for everyone. 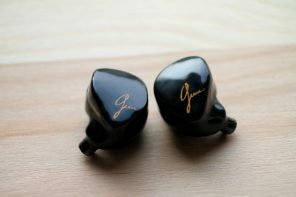 But driving the JH Customs from the RSA Protector gives me a significantly wider soundstage (who doesn't love soundstage? ), and a far more powerful and better controlled bass section. So, the improvements are there, at least when I used the JH Customs (JH5, 10X3, or JH16). Now I haven't really tried a Monster Copper on balanced, so I can't say if you'll get as much improvement on your current set up. Now a bad amp may actually add distortions and lessens the clarity of the music, but almost all of them, even the Fiio E1 (that small tiny thing Fiio built), adds a good amount of driving force when I tried it with the easy to drive Koss PortaPro. As a rule of thumb – cables, and only if needed, should cost about 10% of the "rig". Amplification, and only if needed – no more than 30-40%. Any amp/cable combo that costs 2 or 3 or more times more than the headphones used is absolutely unnecessary and such headphones would reap the benefit of such an investment. 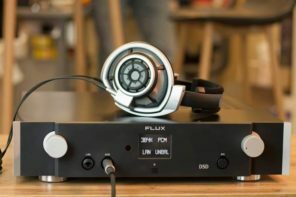 For the iBasso PB1 and DAC example, you'd pay about $500 for the amp and dac plus the cables, then you'd pay $100-300 to recable your existing headphones. You are looking at $600-800 to improve a pair of $100-$300 headphones. And how much are you improving them if at all? And what do you give up in convenience and comfort? Doesn't make any sense! Now, I love my SACD and DVD-A on my home surround soung hifi. Headphones don't give you that. And, unfortunately, SACD and DVD-A are soo limited that can't be enjoyed all the time. 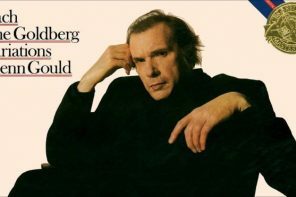 The acceptable compromise is a true CD quality lossless music available as a stream. No one that I know is currently offering it. The current favorite is MOG but even they stream at 320kbps on WIFI and less(don't know how much less) on 3G. If someone offers losseless streaming that's all that'd be needed for on-the-go portable bliss or a desktop listening. If you feel that way about amps and daps why on earth did you buy a PB1 in the first place? I don't really have too many IEMs, I do not like them for the most part. I am curious to try some JH or UM customs maybe. I would like to try the MC3/5 at some point, I did not like the monster coppers when I tried them. I re-cable my own headphones generally, so it isn't that expensive for me. All of my headphones, (that I actually paid more than $10 for,) can be used with practically any single ended or balanced configuration. I realize this is not typical at all. Thank you Mike, for making the inquiry on the Hirose balanced TWag cable. I will contact Craig for further details. 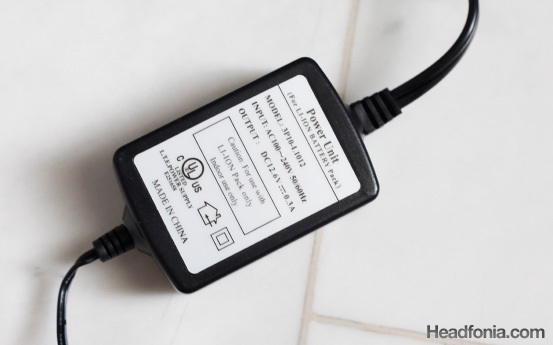 I have limited knowledge on balanced input and wish to ask if it makes any sense to customize an iPod LOD with the Hirose connector? Will it have any advantage over the 3.5mm connector? Randius, I would listen to what Bebop says. I don’t think it would make sense to make an Ipod LOD with the Hirose connector. I think that it is a bad idea to change your iPod LOD to wire it up to the balanced input, just because you could. Maybe it would have no effect, but I think the Toucan might assume it was balanced already and not create the negative polarity signal. I don’t really know for sure, but it doesn’t seem like a good idea to me. I should've thought about this sooner, but I was reading George's post below when I saw your post again. Actually now that I think about it, that may be better because then you're bypassing the chip that creates the negative signal. You won't get double the gain, but you're getting a cleaner signal which is always good. You also get the benefit of separate ground for the left and right channels. A friend made a LOD terminated in the hirose, and he claimed the sound to be better. I haven't personally tried it though. Have you checked out the new Ibasso PB-2 Pelican? The thing is an absolute beast. A 16 volt battery, 32 volts of swings, up to 2.5W (yes, watts) per channel, user replaceable opamps,the list goes on. It can drive the HE-6 effortlessly, among other things. It also has more punch in the lower registers. Yes, I've heard. That sounds like a real beast indeed! Great! I hope you like it. Are you going to put it in your portable roundup? Also, can you run the HE-6 balanced from it? I would love to see the PB2 vs the SR71B on headfonia with a good phone like the HE6. The SR71B can also drive the HE6 very well. I have heard that combo fully balanced, and it is really something. If you don't want to spend all that money on the TWag adapter, I am sure a head-fier would make one for you for a reasonable price. Warrior05 (Scott) is a good vendor form head-fi. I haven't actually ordered anything from him, but when I contacted him, he was fast and courteous and had very reasonable prices. Just sao you konw, the PB1 can also drive the HE-6 balanced, just not as well as the SR71B and the PB2. Thanks for sharing the information, George! No problem. I love your comparisons, especially with your photography. This is a great site. Keep up the good work! So, it looks like you personally own the PB1 and the PB2? I don't own them but plan to get the PB2 at some point. I am getting all these impressions from members of Head-fi that I respect. There impressions are very reliable. You may find different things, but I have confidence that you will be impressed. I commend you for waiting longer for a better comparison. I know it will be accompanied by all those great pictures you take. It is actually George. That is my dad's E-mail address. But no problem! 🙂 i look forward to the comparison. 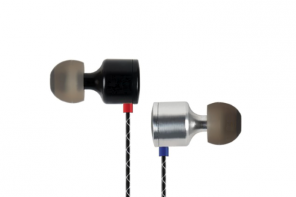 Check out the PB-2 thread on head-fi. There are some initial impressions toward the end. It can drive the HE-6 with authority, a pretty amazing feat. For the record, the PB1 can drive the HE-6 as well, but not as well. If you have the balanced cable for the HE-6, Ibasso sells adapters for four pin XLR and 2X3 pin to the Hirose they use for reasonable prices. Or you could just buy the Hirose pins from them for $9 and do it yourself, if you are so inclined. I guess the PB-2 would deserve the title of the most powerful portable amp on earth! I had tried to drive a HE-5 once with the LISA 3 amp, and it distorted on medium volume. does it good with hd 25? how the sound compare to jdslabs cmoybb or pa2v2? 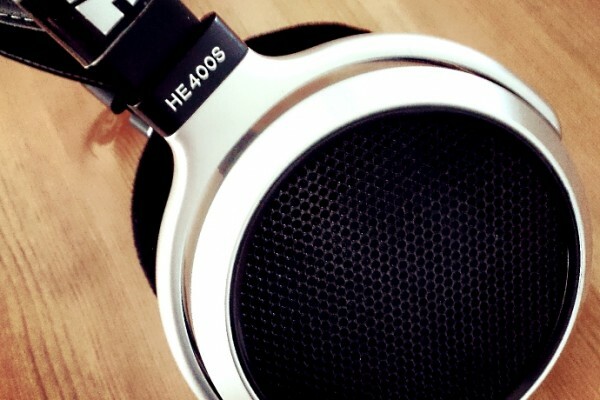 I wouldn’t pair the HD25-1 with the PB-1. The sound would be too bright and too forward for my taste. The PB-1 would be better with the darker Senns.